Beautiful Dolls from Panama, these dolls are gorgeous, and on this picture the dress is red but I also have the same doll in other pollera dresses: blue, green, orange, yellow, turquoise, or white. Let me know which color are you looking for. Item is better than my picture. No need to buy the stand for the doll! You are going to love these dolls. These Beautiful Panamaniam dolls are the perfect and unique gift for your love ones. 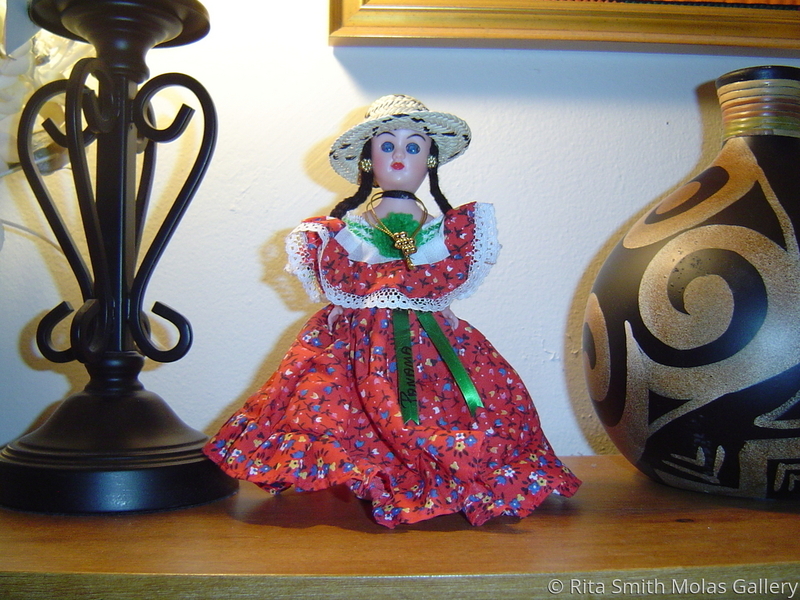 Size 8" tall the doll is wearing the (montuno) pollera the national dress of Panama, which is popular of my town Cocle.